We normally response to all serious requests within 24 hours! Rolf Hicker is well known both nationally and internationally for his work as a nature, travel, and wildlife photographer and filmmaker. He also specializes in web solutions, and marketing for travel and photography related websites. His website www.hickerphoto.com is today one of the most popular photography and travel websites with over 3 million visitors per month. The quality of his work and high standards he brings to the profession have been recognized by professional associations, earning him several international awards. He was honoured at the prestigious International Film Festival in Dresden when he received the highest award in the category "Best Nature". His photography was also honoured with the Gold Medal for "Best Scenic" by CMA. Rolf's photos have been published in prestigious magazines such as National Geographic and Readers Digest, and are also frequently published in top magazines world wide. He has a wide range of publications to his credit and his photos appear regularly in books, calendars and magazines. Whenever he finds the time, Rolf leads unique photography workshops to locations such as Alaska during the winter, or New Zealand. Here is what customers from his photography workshops are saying: Photography Workshop Testimonial. 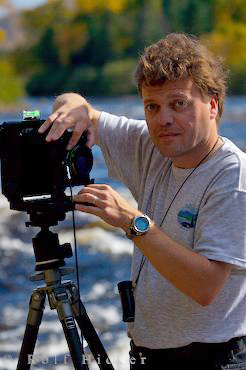 Rolf was born in Freising in Southern Bavaria, Germany and has been passionate about photography since his childhood. He became a full time professional photographer once he turned 18. Don't miss to visit rolf's german website: Rolf's Tier- und Naturfotografie. He travels the world over photographing in remote locations where he captures dramatic impressions of nature, breathtaking scenery, and sensational animal pictures. He is frequently commissioned by governments seeking to increase travel and interest in their countries and has filmed and photographed in North America, South America, Galapagos, Africa, Europe, New Zealand and Asia. He specializes in North America and has spent more than seven years following the seasons capturing images in Canada, Alaska, and in the USA before moving to British Columbia, Canada. He is using analog as well as digital technology (he is very well known for his skills in digital technology as well as web development). His cameras include formats such as analog 35mm, 4,5x6cm, 6x8cm, 6x17cm, 4x5 inch cameras as well as 12/16 Mio PX digital Cameras. For filming he prefers S-16 mm film, and for industrial work he uses digital video, either Beta SP Digi or DV. He has moved with his partner Michelle, who originates from New Zealand, to the wilderness community of Port McNeill in British Columbia on the northern tip of Vancouver Island, where he has opened a fine art photography gallery. Over past several years Rolf has worked on a freelance project, and succeeded in producing "never seen or filmed before" film footage of Killer Whales (Orca whales) travelling at high speed, up to 20 knots beneath large boats. This stunning footage will soon be available for the public. His Whale Portfolios are known to be some of the very best available today! The best way to browse thorugh his pictures is to start at the stock photography catalogue.